Your home is more than a house—it’s also a place where memories are made with family, friends, and neighbors. That’s why SEDA New Homes gives you more choices in floor plans and pricing, and more ways to personalize your new home to make it uniquely yours. The neighborhoods we create offer the best in recreational amenities, easy access to great schools, and quality you can count on for a lifetime. SEDA New Homes: A trusted home builder in Jacksonville for more than 30 years. Since 1982, SEDA New Homes has grown to become one of the largest locally owned home builders in Northeast Florida. Our team is committed to providing excellent customer service before, during, and after the sale, and our construction quality has been recognized with numerous awards from the Parade of Homes. SEDA New Homes’ highest honor, however, is the referrals by our buyers to friends and family. To make owning a beautiful, brand-new home more affordable, our prices range from the low $200s to the upper $400s. With more than 40 floor plans and 10 Northeast Florida communities to choose from, you’re sure to find the right single-family home in the neighborhood that’s just right for you. New home construction, your way. On our lot or yours. 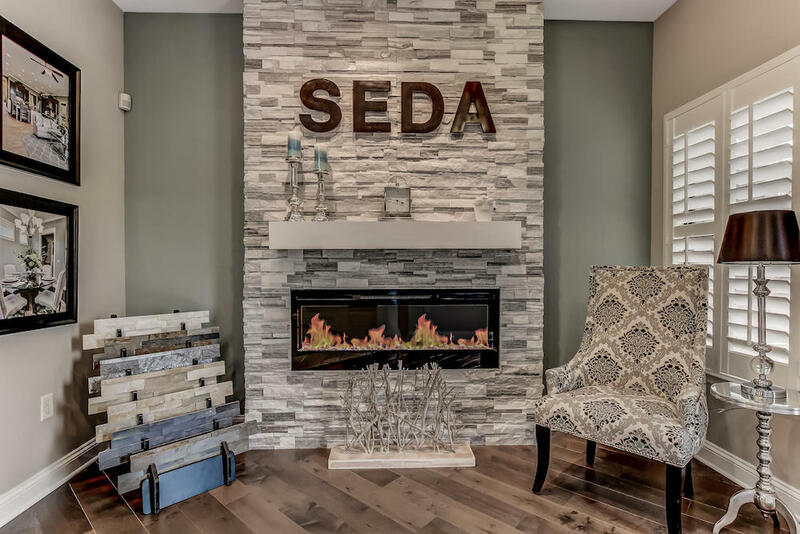 SEDA New Homes is one of the few builders that will construct one of our plans on your lot. We were also Jacksonville’s first home builder offering customers the option of selecting fixtures and finishes for their new homes in the comfort of a design showroom. When you visit our expansive, 1,900-square-foot showroom, our professional designer will meet with you to review your house plan and guide you through every step in your selections of your home’s interior and exterior materials, colors, countertops, flooring, and much more. You may even have the opportunity to work with our architectural designers to further customize your new home by moving a door or window, increasing the square footage, adding garage space for a third car, and more. The professional SEDA New Homes team includes experienced project managers who are available to you throughout the building process, which includes every step of new home construction, from site preparation and permitting, to interior trim out and landscaping. Our service continues after completion, with a new home orientation meeting and final walkthrough. Along the way, you can be confident that our end-to-end construction process will result in the brand-new home you’ve always wanted. See SEDA New Homes quality for yourself. We invite you to visit any of our 10 communities in the area to see a SEDA neighborhood’s features, amenities, convenience, and home styles for yourself. You’ll find our communities in several easily accessible locations, including Jacksonville, Fernandina Beach, Amelia Island, Yulee, Middleburg, and St. Augustine. If you’d like to know more about SEDA New Homes or have questions, please call us at 904-724-7800 or get in touch online.